The 2017 European and Canadian legs of GUNS N' ROSES' already hugely successful "Not In This Lifetime" tour went on sale on December 9 and more than a million tickets have been sold in 24 hours. Tickets for the 2017 U.S. dates go on sale tomorrow, December 10. The "Not in This Lifetime" tour has now sold more than three million tickets in 2016, making it the year's most successful rock tour. As previously reported, GUNS N' ROSES is coming back to North America next summer for at least another 15 stadium dates, as the band continues its reunion tour. 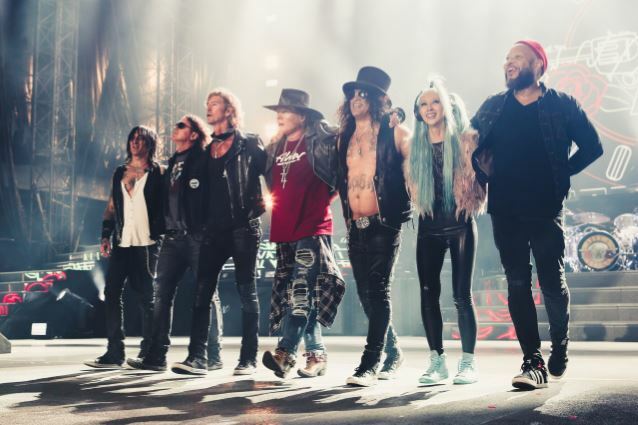 Axl Rose, Slash and Duff McKagan, along with guitarist Richard Fortus, drummer Frank Ferrer and keyboardists Dizzy Reed and Melissa Reese will kick off the new North American run on July 27 in St. Louis, ending on September 8 in San Antonio. The group has also mapped out a European jaunt that will begin on May 27 in Dublin, Ireland, ending on July 12 in the Netherlands. A July 15 show in Tel Aviv, Israel will also precede the North American leg. 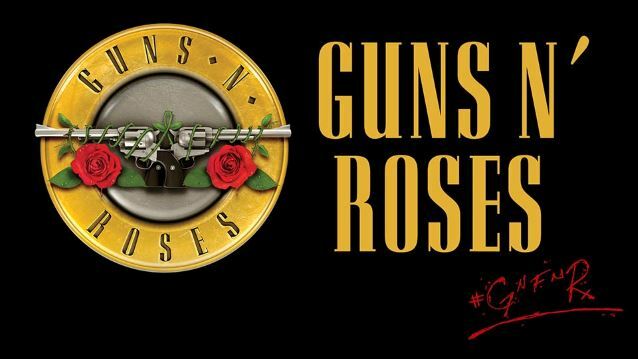 GUNS N' ROSES also has shows booked in Japan, New Zealand, Australia, Singapore, Thailand and United Arab Emirates between January and early March. The band kicked off its reunion trek last April with a club show in Hollywood and appearances in Las Vegas and at California's Coachella festival. The first North American leg of the tour kicked off in late June and included 25 concerts, grossing a staggering $117 million.